My new favorite application for OSX is called Helium. 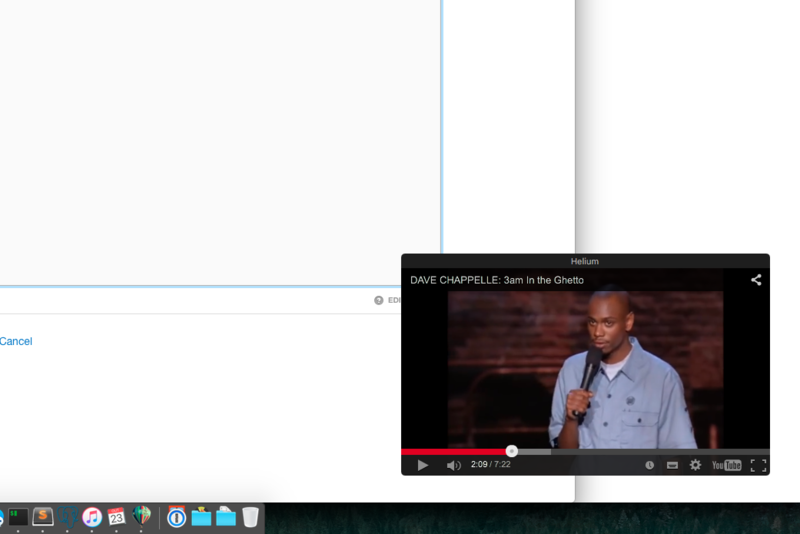 It&apos;s basically something that allows you to keep an always-on-top window with whatever video (youtube, local, etc.) you want to have playing while you do other things.